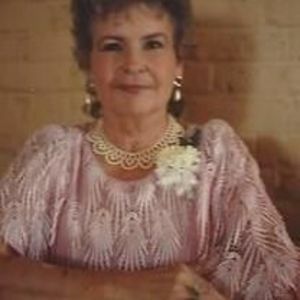 Mavis Wall Bunn, 87, of Wilson, passed away Friday. A memorial service will be conducted 6:30 p.m. Tuesday, February 21, 2017, at Thomas-Yelverton Funeral Home, 2704 Nash St. N, Wilson, NC. The Rev. Charles Robl will officiate. Mavis will be remembered for the many years she worked with her customers at Dotty Lou’s in Wilson. She was dearly loved and will be greatly missed by her family and friends. Surviving are her daughter, Teresa Bunn and fiancé, Anthony James, of Wilson; one son, Timothy Bryan Bunn and wife, Beverly, of Wilson; and a brother, Cecil Wall of Montana. She was preceded in death by her husband, Bryan Bunn; parents, George R. and Ada Stancil Wall; one sister, Joyce Marie Gardner; and two brothers, William Chester Wall and George S. Wall. Flowers are welcome and memorials may be directed to Community Home Care & Hospice, 1604 Forest Hills Rd., Wilson, NC 27893.